A critical point in the history of the Internet was reached a few years ago when the last IPv4 addresses from a central pool were allocated, with the remaining IPv4 addresses from regional pools also being exhausted subsequently. If every IP Address in the world was claimed, web programs would have shut down and computes would have struggled badly to communicate with one another. In effect, the Internet would no longer have been able to function and almost half of the world’s population would never have had the opportunity to go online. Following is the Infographic based on Importance of IPv6, Features of IPv6, and a detailed comparison and difference between IPv6 vs. IPv4 internet protocols. Thankfully, this frightening possibility has been quashed due to the introduction of IPv6, a newer communications protocol which has enough IP addresses to ensure that future exhaustion is incredibly unlikely. Its capacity is just one of the numerous advantages that it has in comparison to its predecessor. It makes networks much easier to manage through auto-configuration, the capability of direct addressing increases end-to-end integrity, there is ample scope for mobility, and Internet Protocol security is built into the IPv6 protocol. Technology is in a constantly dynamic state. What was innovating and ground-breaking only a few short months ago is probably out-dated and average now. 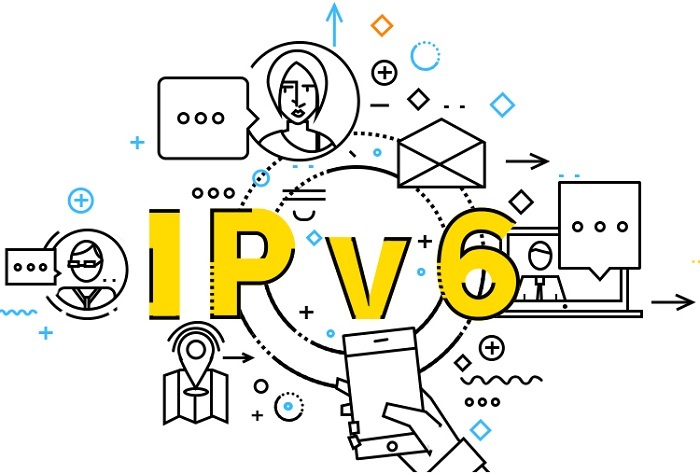 Out of the hundreds of technological innovations of recent years, though, it can be argued that none has been more important than the introduction of IPv6. The thought of the Internet no longer existing is quite incomprehensible in an era where so many essential functions are carried out online. Even though we got along with our lives just fine during the 20th century until the Internet became a consumer tool, we have become so accustomed to going online in an instant that it would be all but impossible to revert to an Internet-free existence. No social media, no 5-second Google searches, no convenient online holiday booking. Just think about it if you can. At least the creation of IPv6 means that this dilemma will, for all of us who are alive today, render the thought of a no-Internet world purely hypothetical. There are billions of billions of IP addresses for every person in the world today thanks to IPv6, whereas there were fewer IPv4 addresses than people on Earth. Check out below infographic, developed by Irish Telecom to find out more about IPv6, the communications protocol which in all likelihood has prevented the Internet from becoming a fleeting phenomenon consigned to the history books.